You aren’t in your old home, you don’t have everything you once had, but God granted you so much more than this. He granted you life and joy, and a new story to tell with your survivor story. Don’t get so worked up in the day that you forget to honor and be thankful for what God has blessed you with. There is such blessing in the King of Kings and the Lord of Lords. – Just think of it, the Lord is Your God. – Just think of it, the Lord is perfectly faithful. 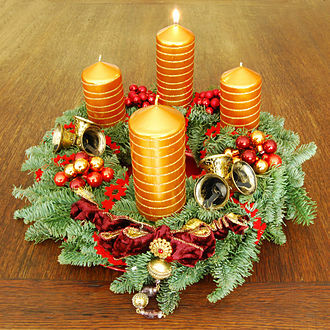 – As you look back over this year, think of the wonderful things He has done. – Now begin to praise and exalt His wonderful name. When praise goes up from man to God, there is always a rain of His blessings and presence; expectations, desires and needs are met. For those of us in Christ we are assured that our lives are truly in Gods hands. We may ask why do the righteous suffer though? And thats a totally understandable question. Why do our problems and sorrows increase when we become children of God? Why do the wicked seem to enjoy there lives and be prosperous while us believers seem hopeless? We have all asked similar questions to these and its caused some of us to lose hope and trust in God. But let me tell you something God is in control! God can use anything to accomplish His will. He is the creator. He created the earth, the sea, and the wind. Satan may be the prince of the power of the air, but God is King. The outcome of the storm is that the ship gets to the point where it is about to break apart. Don’t know about you…but I’d be terrified. 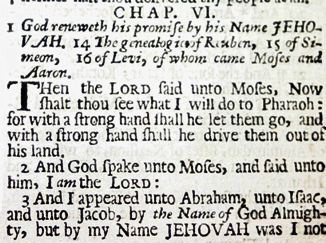 Jonah 1:1-3 – God Calls and We Go…But Which Way? God has called each one of us to His service. We must understand something very important here. When God calls and we say “no” (and we all do from time to time), our defiance, our disobedience is against God alone. Think about that for a moment. You are openly defying the God of the universe to do what you want to do. But that doesn’t stop us does it? Just like Jonah we are fooled into believing that if we go far enough for long enough…God will forget. As if He can’t see (sounds a little like Adam and Eve in the garden). The governance of God will bring a restoration of right relationships – even among the wild creatures, as proclaimed in Isaiah. It restores right relationships within the human community, uniting all peoples in a common bond of peace – as Paul exhorts the Christian community to recognize and live. There is a choice to be made. There is a price to be paid. 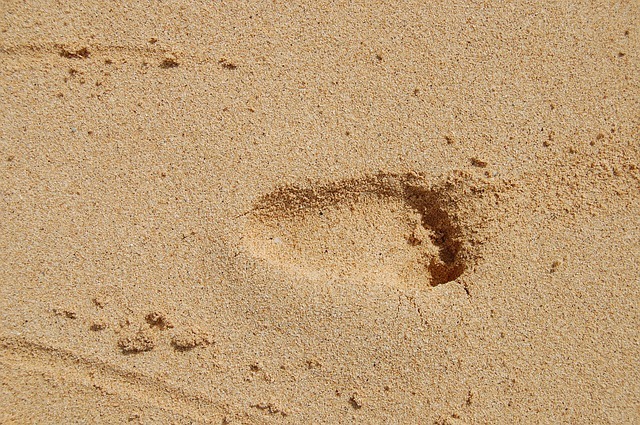 Following Jesus, being a child of the kingdom, living the way of God, requires something of us. Life sometimes gives us more than we think we can handle; pressing and confusing days that lead to feelings of persecution and abandonment. But even in these circumstances we remain uncrushed, without despair, without abandonment, and undestroyed. We must believe that the Word of God has the power to save us. Every promise made will be fulfilled. There is nothing that God cannot do and he does so want us to be able to live fully, joyfully and in the final analysis, we need to be convinced that he loves us unconditionally. The Lord is faithful. What do I mean by that? I mean that when I talk to Him and read His Word, He always reassures my heart. Sometimes He changes the environment, sometimes He changes the path I’ve been walking down, but always He changes me. Every time I invest in God, He pours back into me more than I am capable of giving Him. There is no path you walk down that He cannot alter, direct or protect you from. Aristotle’s concept of the universe was influenced by the thinking of Greek mathematician and philosopher Pythagoras (sixth century B.C.E.). Adopting Pythagoras’ view that the circle and sphere were perfect shapes, Aristotle believed that the heavens were a series of spheres within spheres, like layers of an onion. Each layer was made of crystal, with the earth at the center. Stars moved in circles, deriving their motion from the outermost sphere, the seat of divine power. Aristotle also held that the sun and other celestial objects were perfect, free of any marks or blemishes and not subject to change. 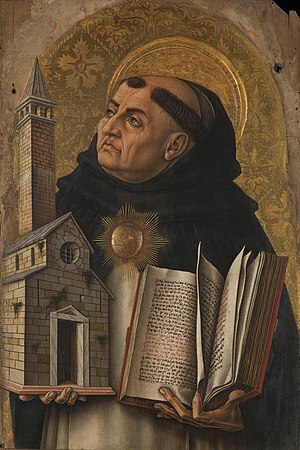 A further step leading to the confrontation between Galileo and the church occurred in the 13th century and involved Catholic authority Thomas Aquinas (1225-74). Aquinas had a profound respect for Aristotle, whom he referred to as The Philosopher. Aquinas struggled for five years to fuse Aristotle’s philosophy with church teaching. By the time of Galileo, says Wade Rowland in his book Galileo’s Mistake, “the hybridized Aristotle in the theology of Aquinas had become bedrock dogma of the Church of Rome.” Keep in mind, too, that in those days there was no scientific community as such. 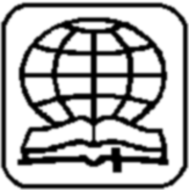 Education was largely in the hands of the church. The authority on religion and science was often one and the same. The stage was now set for the confrontation between the church and Galileo. Even before his involvement with astronomy, Galileo had written a treatise on motion. It challenged many assumptions made by the revered Aristotle. However, it was Galileo’s steadfast promotion of the heliocentric concept and his assertion that it harmonizes with Scripture that led to his trial by the Inquisition in 1633. In his defense, Galileo affirmed his strong faith in the Bible as the inspired Word of God. He also argued that the Scriptures were written for ordinary people and that Biblical references to the apparent movement of the sun were not to be interpreted literally. His arguments were futile. Because Galileo rejected an interpretation of Scripture based on Greek philosophy, he stood condemned! Not until 1992 did the Catholic Church officially admit to error in its judgement of Galileo. What can we learn from these events? For one thing, Galileo had no quarrel with the Bible. Instead, he questioned the teachings of the church. One religion writer observed: “The lesson to be learned from Galileo, it appears, is not that the Church held too tightly to biblical truths; but rather that it did not hold tightly enough.” By allowing Greek philosophy to influence its theology, the church bowed to tradition rather than follow the teachings of the Bible. “Look out: perhaps there may be someone who will carry you off as his prey through the philosophy and empty deception according to the tradition of men, according to the elementary things of the world and not according to Christ.”—Colossians 2:8. 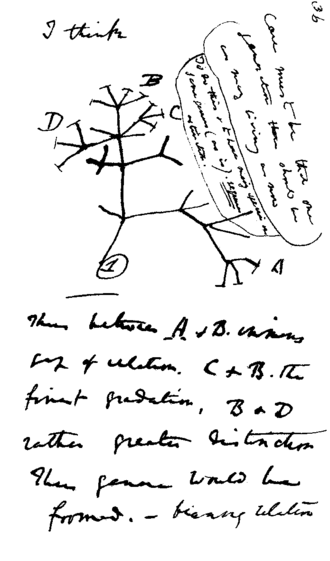 In mid-July 1837 Darwin started his “B” notebook on Transmutation of Species, and on page 36 wrote “I think” above his first evolutionary tree. The foregoing should in no way discourage an interest in science. To be sure, the Bible itself invites us to learn from God’s handiwork and to discern God’s amazing qualities in what we see. (Isaiah 40:26; Romans 1:20) Of course, the Bible does not claim to teach science. Rather, it reveals God’s standards, aspects of his personality that creation alone cannot teach, and his purpose for humans. (Psalm 19:7-11; 2 Timothy 3:16) Yet, when the Bible does refer to natural phenomena, it is consistently accurate. Galileo himself said: “Both the Holy Scriptures and nature proceed from the Divine Word . 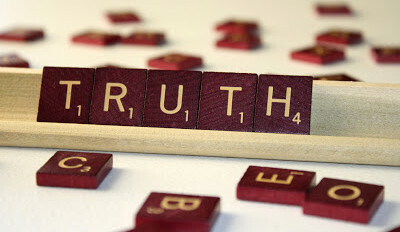 . . Two truths can never contradict one another.” Consider the following examples. Even more fundamental than the movement of stars and planets is that all matter in the universe is governed by laws, such as the law of gravity. The earliest known non-Biblical reference to physical laws was made by Pythagoras, who believed that the universe could be explained by numbers. Two thousand years later, Galileo, Kepler, and Newton finally proved that matter is governed by rational laws. If we use Pythagoras as a point of reference, the statement in Job was about a thousand years ahead of its time. 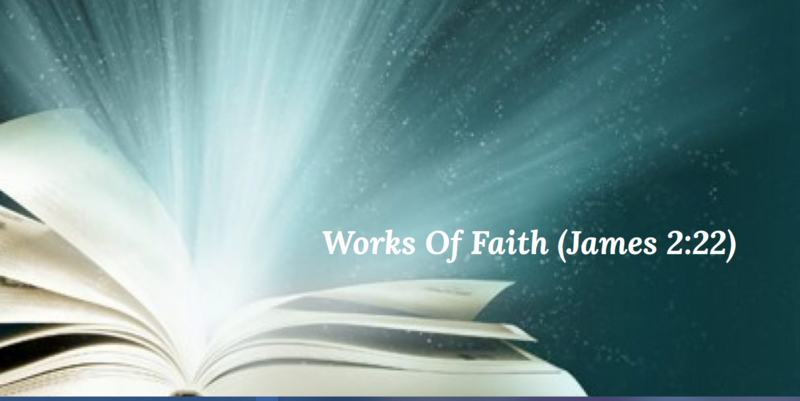 Keep in mind that the Bible’s objective is not simply to reveal physical facts but primarily to impress upon us that Jehovah is the Creator of all things—the one who can create physical laws.—Job 38:4, 12; 42:1, 2. Another example we can consider is that the earth’s waters undergo a cyclic motion called the water cycle, or the hydrologic cycle. Put simply, water evaporates from the sea, forms clouds, precipitates onto the land, and eventually returns to the sea. 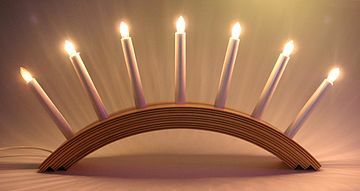 The oldest surviving non-Biblical references to this cycle are from the fourth century B.C.E. However, Biblical statements predate that by hundreds of years. For example, in the 11th century B.C.E., King Solomon of Israel wrote: “All the rivers run into the sea, yet the sea is not full. To the place from which the rivers come, to there and from there they return again.”—Ecclesiastes 1:7, The Amplified Bible. Likewise, about 800 B.C.E. the prophet Amos, a humble shepherd and farmworker, wrote that Jehovah is “the One calling for the waters of the sea, that he may pour them out upon the surface of the earth.” (Amos 5:8) Without using complex, technical language, both Solomon and Amos accurately described the water cycle, each from a slightly different perspective. The Bible also speaks of God as “hanging the earth upon nothing,” or he “suspends earth in the void,” according to The New English Bible. (Job 26:7) In view of the knowledge available in 1600 B.C.E., roughly when those words were spoken, it would have taken a remarkable man to assert that a solid object can remain suspended in space without any physical support. As previously mentioned, Aristotle himself rejected the concept of a void, and he lived over 1,200 years later! Does it not strike you as amazing that the Bible makes such accurate statements—even in the face of the erroneous yet seemingly commonsense perceptions of the day? To thinking people, this is one more evidence of the Bible’s divine inspiration. We are wise, therefore, not to be easily swayed by any teaching or theory that contradicts God’s Word. As history has repeatedly shown, human philosophies, even those of towering intellects, come and go, whereas “the saying of Jehovah endures forever.”—1 Peter 1:25. In the third century B.C.E., a Greek named Aristarchus of Samos put forth the hypothesis that the sun is at the center of the cosmos, but his ideas were dismissed in favor of Aristotle’s. For an in-depth discussion on this topic, see chapter 15, “Why Do Many Accept Evolution?” in the book Life—How Did It Get Here? By Evolution or by Creation? published by Jehovah’s Witnesses. Scientifically speaking, we use incorrect terms when we refer to “sunrise” and “sunset.” But in everyday speech, these words are both acceptable and accurate, when we keep in mind our terrestrial perspective. Likewise, Joshua was not discussing astronomy; he was simply reporting events as he saw them. The Genesis of Science: How the Christian Middle Ages Launched the Scientific Revolution, is incredibly readable for its length and depth, and is a credit to its author. I would highly recommend it to anyone interested in science and the Middle Ages. This series of blog posts is my attempt to gain a deeper appreciation for the issues Hannam raises, and to think alongside him as he dives into the lost world of medieval cosmology, medicine, mathematics, and philosophy. Thomas led the Church towards a new expression of thinking. (MSN knowledge and Research). From the beginning he rebelled against a life previously go d sustain the stairs by his family, and pave a road towards success for himself. Although many philosophies were derived from the bookworm thinker, Aristotle, he believed that it focused too na! rrowly on only when a few professions. At the University of Pisa, Galileo learned the physics of the Ancient Greek scientist, Aristotle. However, Galileo questioned the Aristotelian approach to physics. Aristotelians believed that heavier objects fall faster through a medium than lighter ones. Galileo eventually disproved this idea by asserting that all objects, regardless of their density, fall at the same rate in a vacuum. Because Galileo supported the Copernican system, he was warned by Cardinal Bellarmine, under order of Pope Paul V, that he should not discuss or defend Copernican theories. In 1624, Galileo was assured by Pope Urban VIII that he could write about Copernican theory as long as he treated it as a mathematical proposition. However, with the printing of Galileo’s book, Dialogue Concerning the Two Chief World Systems, Galileo was called to Rome in 1633 to face the Inquisition again. Galileo was found guilty of heresy for his Dialogue, and was sent to his home near Florence where he was to be under house arrest for the remainder of his life. In 1638, the Inquisition allowed Galileo to move to his home in Florence, so that he could be closer to his doctors. By that time he was totally blind. In 1642, Galileo died at his home outside Florence. Christianity’s engagement with non-Christian thought proceeds from the Christian belief that reason and faith are complementary, not oppositional. Thomas Aquinas’ synthesis of Aristotle and Christianity is a vital chapter in this engagement. His interaction with the philosophy of Aristotle demonstrates both the harmony of reason and faith and the oneness of truth, which are both central to the Christian intellectual tradition…. Greek philosophy is not compatible with Christian theology, except in a few areas. In Greek philosophy, the body is bad. In Christian theology, the body is good and will be redeemed eventually by God. Greek philosophy has brought us off course in our understanding of eschatology and other important things on many occasions in the church. I am a bit wary about some of what Thomas Aquinas believes because of that. Galileo eventually combined his laws of physics with the observations he made with his telescope to defend the heliocentric Copernican view of the universe and refute the Aristotelian system in his 1630 masterwork, Dialogue on the Two Chief Systems of the World. Upon its publication, he was censored by the Catholic Church and sentenced to house arrest in 1633. Aristotle’s works shaped centuries of philosophy from Late Antiquity through the Renaissance, and even today continue to be studied with interest. He was definitely a prodigious researcher and writer. According to Bertrand Russell , among all history , nothing so difficult so astonish or explained besides the birth of civilization in Greece of a sudden. It has many elements of civilization there for thousands of years in Egypt and Mesopotamia. But certain elements have not been intact until then executing Yunanilah race . Archimedes , considered one of the greatest mathematicians of all time , it is based on mathematical principles form temuannya lever, pulley system ( which didemonstrasikannya to attract a private boat only), and penak thread, that shows the planetarium model that can show movement of sun, moon, the planets, and constellations in the sky possibility. In the field of mathematics, the findings on the value of p ( phi ) over the previous approach of scholars. Of his works that is experimental, it is then dubbed as ” Mr. Experimental IPA ”. The longest delayed apology I can think of came from the Catholic Church, in 1992, to Galileo:Moving formally to rectify a wrong, Pope John Paul II acknowledged in a speech today that the Roman Catholic Church had erred in condemning Galileo 359 years ago for asserting that the Earth revolves around the Sun. For Thomas, and most Philosophers until the modern world, Philosophy was essentially the “love of wisdom.” To engage in the the practice of philosophy was the faithful pursuit of wisdom wherever it might be found. The primary understanding of truth was saying of a thing what was and not saying of a thing what was not. In a larger sense, wisdom was an understanding of the truth of things. Philosophy was not navel gazing and not ideological manipulation, but it was a diligent quest to understanding the good, the true, and the beautiful. Void, so there was and there is ….. complexity. Empty spaces make up void, but than there is something to make the spaces in between. Then there is density, length, with, depth, hight … space. When there are periodic fluctuations in the density of the visible baryonic matter of the universe, this means there is a stand still, a movement, but caused by what? If caused by acoustic waves then there would be sound and movement in space. If it would come to an explosion, call it Big Bang, than still it had to exist in the early universe. Baryon acoustic oscillations (BAO) may provide a “standard ruler” for length scale in cosmology. 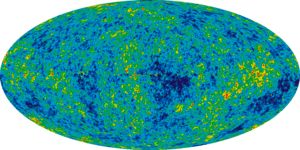 does it help us to understand more about the nature of dark energy (which causes the apparent slight acceleration of the expansion of the universe) by constraining cosmological parameters? 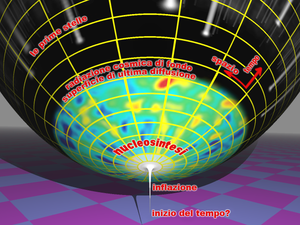 When there was a hot, dense plasma of electrons and baryons (protons and neutrons) then those also had to come into being.when there would have come overdensity gravitationally attracting matter towards it, the heat of photon-matter interactions creating a large amount of outward pressure, then there should have been something like emptiness and matter, something to cause limitness or presser on something else.. Then counteracting forces of gravity and pressure could create oscillations, analogous to sound waves created in air by pressure differences. Voids are believed to have been formed by baryon acoustic oscillations in the Big Bang—collapses of mass followed by implosions of the compressed baryonic matter. 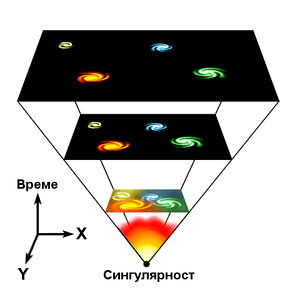 Starting from initially small anisotropies due to quantum fluctuations in the early Universe, the anisotropies grew larger in scale over time. Regions of higher density collapsed more rapidly under gravity, eventually resulting in the large-scale, foam-like structure or “cosmic web” of voids and galaxy filaments seen today. When, according to scientists, approximately 13.798 ± 0.037 billion years ago the Universe was in an extremely hot and dense state and began expanding rapidly to cool down sufficiently to allow energy to be converted into various subatomic particles, including protons, neutrons, and electrons, there should have been all these elements. Subatomic particles, present in the nucleus of each atom having a mutual electromagnetic repulsion stronger than the attraction of the nuclear force, should still then have something to bring in force. The Big Book made up of 66 books, brought together by men, beings of flesh and blood, got ideas in it which came from somewhere and bothered their brains. It let them think and handle, wondering about their being or not being, life and death. Being nothing, would it be being part of that void? So that “Void” was considered part of the beginning. Space and Earth being without form, part of the so called nothingness, which was something not seen, because darkness did not reveal it, bottomless emptiness, an inky blackness. God’s Spirit brooded like a bird above the watery abyss, so there was water to hover over. Then there was a God, a Being, a Spirit, not man not woman, not flesh, not blood. darkness was elevated so there was light. When there was water, there was space or volume, the volume of void-space (such as fluids). Having darkness and light makes radiation and reflection. To have reflection there has to be material and volume of solids. Volume change tendency control. If void ratio is high (loose soils) voids in a soil skeleton tend to minimize under loading – adjacent particles contract. The opposite situation, i.e. when void ratio is relatively small (dense soils), indicates that the volume of the soil is vulnerable to increase under loading – particles dilate. The Void also can denote excretion, the process by which waste products of metabolism and other non-useful materials are eliminated from an organism. In vertebrates this is primarily carried out by the lungs, kidneys and skin. The void as such could be the part of the being, the breathing or passage of air, the composure of the things, be it man or animal or plant. Elementary particles need not be statistically independent and everything could move around without the other but would interfere with the other. Einstein observed that the exchange of radiation between bodies should involve an exchange of mass; light quanta have mass exactly as do ordinary molecules. In his derivation of this result, Einstein speaks about a “light complex,” an entirely classical concept, rather than about a light quantum. When, after Bose’s work, he did attribute corpuscular properties to light quanta, he distinguished clearly between photons (a word he did not use), zero rest mass bosons (another word introduced later) whose number need not be conserved; and massive bosons, whose number must be conserved. His prediction of a condensed state for massive bosons (see Einstein, 1925), now called a Bose-Einstein condensate, offered the first theoretical explanation of a transition between two phases of a system. The prediction was spectacularly confirmed some seventy years later, winning its discoverers the 2001 Nobel prize in physics. A light ray divides itself, but a light quantum cannot divide without a change of frequency” (Einstein to H. A. Lorentz, 23 May 1909, Collected Papers, vol. 5, p. 193). For those saying because there was a Big Bang, so there could not be a Creator is like having the empty peace of paper, getting sings or drawings on its own, without someone using a pen, his hand or his brains to bring something on the paper. The Big Bang does not contradict anything which is written in the Book of Books, the Bible or Holy Scriptures, which is inspired and infallible the Word of that Maker, the Being behind it all. This breakthrough was instrumental in the formation of Western science as we know it. Philoponus’ work was used by later scientific investigators such as such as Bonaventure, Gersonides, Buridan, Oresme, Gianfrancesco Pico della Mirandola, Galileo Galilei, and Isaac Newton, all of whom made significant scientific progress as a result. Philoponus had defended the Christian cosmology, deriving powerful arguments from observations of the universe that it must have had a beginning, and that it was finite in duration. He single-handedly debunked the greatest pagan philosopher and cosmologist in recorded history (Aristotle), as well as burying Proclus’ criticism of the Christian cosmology. Around 550 Philoponus wrote a theological work On the Creation of the World as a commentary on the Bible’s story of creation using the insights of Greek philosophers and Basil the Great. In this work he transfers his theory of impetus to the motion of the planets, whereas Aristotle had proposed different explanations for the motion of heavenly bodies and for earthly projectiles. Thus Philoponus’ theological work is recognized in the history of science as the first attempt at a unified theory of dynamics. Another of his major theological concerns was to argue that all material objects were brought into being by God (Arbiter, 52A-B). 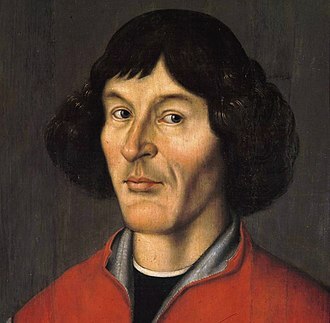 Later Jewish and Christian cosmologists throughout the medieval era made similar arguments, based on the same observations. Christian scientists from Francis Bacon to Isaac Newton all understood this, for centuries. Incredibly, some of the greatest 20th century scientists such as the son of a Somerset Quaker, Arthur Henry Eddington and Einstein claimed it could not be true (apparently Einstein later said it was possibly the greatest error in his career). Eddington even admitted he didn’t want it to be true, for philosophical reasons. It was only recently that scientific evidence for the ‘Big Bang’ proved that the universe did indeed have a beginning and would have an end, contrary to what many scientists had believed. The Bible did not want to give an exact picture of who everything came into being but does contain information which has historically been of considerable scientific value. Unlike every other Ancient Near East cosmology, the Bible describes the universe in naturalistic terms. The sun, moon, and stars are inanimate objects rather than gods, the universe was not created from the recycled body parts of divine beings, and the universe operates according to fixed laws. Early Jewish and Christian commentators understood that nature is regular and orderly, since everything in nature takes place according to fixed laws which God has instituted, which never change. This concept of the universe, which we take for granted, was revolutionary in the Ancient Near East and was not even approached by the Greeks until around the 4th century BCE. In fact the inadequacy of Greek science led to a complete dead end. Unable to free itself completely from mythology, Greek science finally stagnated and failed to advance any further. Western science was not revived until the 6th century CE Christian philosopher John Philoponus challenged the pagan cosmology inherited from the Greeks. Eddington argued from a novel interpretation of positivism that religious experience and scientific experience were equally valid parts of human life, but that neither could prove any particular sectarian dogma. 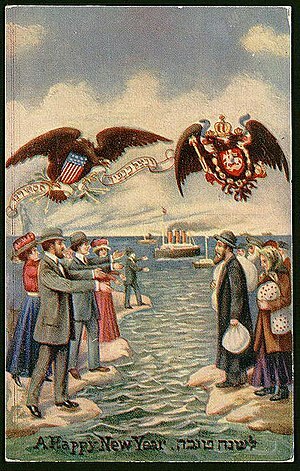 This ecumenical, reassuring position was quite popular in the interwar period with the last surge of liberal theology, but became less relevant with the death of that movement around World War II. Einstein loved to discuss scientific problems with friends, but he was, fundamentally a “horse for single harness.” His belief in strict causality was closely related to his profound belief in the harmony of nature, which did not have to exclude a Supernatural Hand behind it all. Most of the people do want to look at the universe rationally, in mathematical terms, and by doing so they often become blind for the mystical elemenents we as human beings can not understand. It is not because we can not cope with the matter that we do have to cease to evoke a deep — one might say, religious — feeling of admiration in the Power behind all science. To discover the basic laws and concepts of nature we can either try to find knowledge by scientist, whose findings after some years may become outdated and not so right as people thought after, first arguing a lot. Einstein argued that while we learn certain features of the world from experience, the free inventive capacity of the human mind is required to formulate physical theories. There is no logical link between the world of experience and the world of theory. Once a theory has been formulated, however, it must be “simple” (or, perhaps, “esthetically pleasing”) and agree with experiment. One such esthetically pleasing and fully confirmed theory is the special theory of relativity. There was the Galilean invariance or Galilean relativity that states that the laws of motion are the same in all inertial frames. 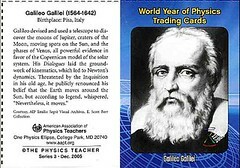 Galileo Galilei first described this principle in 1632 in his Dialogue Concerning the Two Chief World Systems using the example of a ship travelling at constant velocity, without rocking, on a smooth sea; any observer doing experiments below the deck would not be able to tell whether the ship was moving or stationary. The fact that the Earth orbits around the sun at approximately 30 km/s offers a somewhat more dramatic example, though it is technically not an inertial reference frame. If it be a relativity generalising special relativity and Newton’s law of universal gravitation, providing a unified description of gravity as a geometric property of space and time, or spacetime we in a moment of time can appear or dispensary, be or not be. In the curvature of space-time we shall not be able to avoid the energy and momentum of whatever matter and radiation are present. This should let us made to think about our position to the Divine Creator who provide human beings with brains so that they can think and have wisdom. Since Einstein’s God manifested Himself in the harmony of the universe, there could be no conflict between religion and science for Einstein. As Christians we should believe the Word of God and notice that many things written in it were first taught otherwise by man. Lots of people twisted words and told people they were in the Scriptures, but that ordinary people could not understand them. Many points of believe were created, people had to accept them, or they would be tortured and even be killed for other beliefs. The major points in this are that the world would be there in one go like we see it today, that the earth would be a flat surface, that God would be three in one (the Holy Trinity), that Jesus was God and that Jesus existed already at the time of the creation. We should look into all matters, investigate them and make the right choices. The Creator provided the universe, placed human beings, plants and animals in it and gave guidance in His Word, to help them find their way. each of us has to use their brains to search, look for and to experiment. Each of us has also either to hear to the world or to see the Magnificent Hand of God and the Beautiful Works of God, which work faith. Einstein’s theory implies the existence of black holes — regions of space in which space and time are distorted in such a way that nothing, not even light, can escape — as an end-state for massive stars. There is ample evidence that the intense radiation emitted by certain kinds of astronomical objects is due to black holes; for example, microquasars and active galactic nuclei result from the presence of stellar black holes and black holes of a much more massive type, respectively. In time people will find out more about it. Many previous scientific findings may be considered mistaken. 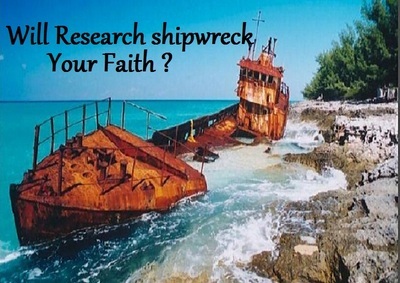 those faulty teachings where once taken as the truth and preferred above the Truth of God. We should know better and look for truth in the Bible, the Word of God. Studying that word we should come to conclusions and take the right choices doing the job god wants us to do. We can have no void, having no members or examples. Today the void is gone. We live in the world not inhabited any more and is not deserted. Being part of those living elements of the universe, we can breath and move and fulfil duties. Shall we be able to say at the end of our life the same thing? Proclus Lycaeus was a Greek Neoplatonist philosopher, one of the last major Classical philosophers who set forth one of the most elaborate and fully developed systems of Neoplatonism. He stands near the end of the classical development of philosophy, and was very influential on Western medieval philosophy (Greek and Latin) as well as Islamic thought. 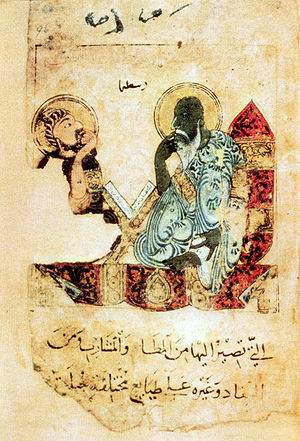 The biblical findings and theological ideas of John the Grammarian or John of Alexandria broke from the Aristotelian-Neoplatonic tradition, questioning methodology and eventually leading to empiricism in the natural sciences. 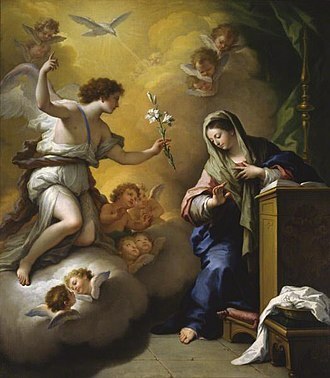 His doctrine on Christ’s duality, according to which in Christ remain two united substances, united but divided, is analogous to the union of the soul and body in human beings and coincides with the miaphysite school of thought. He was posthumously condemned as a heretic by the Orthodox Church in 680-81 because of what was perceived of as a tritheistic interpretation of the Trinity. Arthur Henry Eddington was the first interpreter of Einstein’s relativity theory in English, and made his own contributions to its development; and he formulated relationships between all the principal constants of nature, attempting a vast synthesis in his provocative but uncompleted Fundamental Theory. The recently discovered Higgs boson is best known for its important role in explaining particle mass. But now some physicists are wondering if the Higgs could have played an equally significant role in generating dark matter and baryonic matter in the early Universe, as well as causing the hypothetical dark matter asymmetry and the observed baryon asymmetry between matter and antimatter particles. When you ask people about how life started, or even how the entire universe came into fruition, their answer would basically boil down into two categories – an answer which is derived from scientific explanations and another which involves an application of faith, a response born of their religion. In the scientific field, we see theories which seek to explain the origin of the universe such as the big bang theory, as well as ideas which aim to resolve the issue of how humans were formed such as Charles Darwin’s Origin of the Species. In writing previously about Lawrence Krauss’s book, A Universe From Nothing: Why is There Something Rather Than Nothing? I called this the greatest question. Comes now Jim Holt’s book, Why Does the World Exist? Whereas Krauss’s was basically a physics book, Holt’s is mainly philosophical. 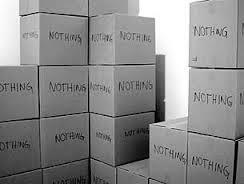 At the heart of the problem is what nothingness means (as the alternative to the Universe we’ve got, full of stuff). Holt spends much time on this, discussing the plausibility of nothingness via a process of subtraction from our cosmos of somethingness. Meantime Krauss described nothingness in such a way that applying physics to it could get you a Big Bang; he talks a lot about field theory and suchlike. But the trouble is that religious apologists can always say their nothingness (not even fields) is deeper than yours and requires a god to get something going. Even thinking about it in terms that can be thought as even being semi-friendly makes a lot of our brains itch. We loathe a void. A void means that we are empty of something and that the void demands to be filled. What we are not realizing is that there is a reason for the void and once it is that we understand the reason, there will be no more void. Too many of us are not accepting this. Too many people believe that a void is a bad thing when in reality it is only a neutral thing and doesn’t carry any negative energy until we choose to believe that it is something other than what it truly is, which is merely and only a void.Nothing in existence did not first come from a void. A void is really only an empty space that is waiting for the right and matching energy to come through to it and fill it. The reason that there is a void created is because that which was there to begin with no longer fits and neither does the energy that used to be there. No time to read Stephen Hawking’s A Brief History of Time? In just two and a half minutes, Alok Jha explains why black holes are doomed to shrink into nothingness then explode with the energy of a million nuclear bombs, and rewinds to the big bang and the origin of the universe? Nice story, but many astrophysicists do not accept this theory of universal birth. If all or a fraction of the dark matter (DM) were coupled to a bath of dark radiation (DR) in the early Universe we expect the combined DM-DR system to give rise to acoustic oscillations of the dark matter until it decouples from the DR. Much like the standard baryon acoustic oscillations, these dark acoustic oscillations (DAO) imprint a characteristic scale, the sound horizon of dark matter, on the matter power spectrum. The most famous subatomic particle in recent years is no doubt the Higgs boson, which is responsible for defining the mass of particles. 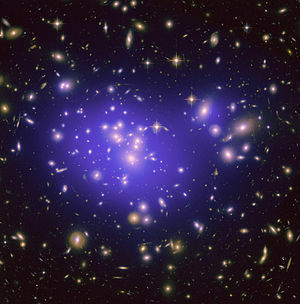 Now scientists believe it may also have an important role in the creation of dark and baryonic matter in the early universe. It may also have something to do with the asymmetry between antimatter and matter particles.The concept of asymmetry involves the idea that while the big bang should have produced equal amounts of matter and anti-matter, it didn’t. If matter and anti-matter had been created in equal amounts, they should then have eliminated each other, leaving… nothing. Of course, that’s not what happened; there was a slight excess of matter, meaning some was left over after all the anti-matter had been eliminated. That matter is what makes up our universe. The observed clustering of galaxies and the cross-correlation of galaxies and mass (a measure of galaxy-galaxy lensing) provide important constraints on both cosmology and models of galaxy formation. Even though the dissipation, and more importantly the feedback processes associated with galaxy formation are thought to affect the distribution of matter, essentially all models used to predict clustering data are based on dark matter only simulations. We conclude that predictions for galaxy-galaxy and galaxy-mass clustering from models based on dark matter only simulations will have errors greater than 10% on sub-Mpc scales, unless the simulation results are modified to correctly account for the effects of baryons on the distributions of mass and satellites. 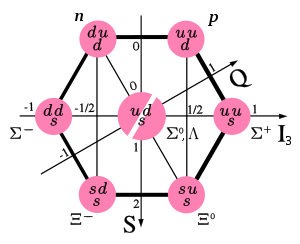 The Minkowski functionals are a set of statistics which completely describe the topological nature of each isodensity surface within the field, as a function of the density value.